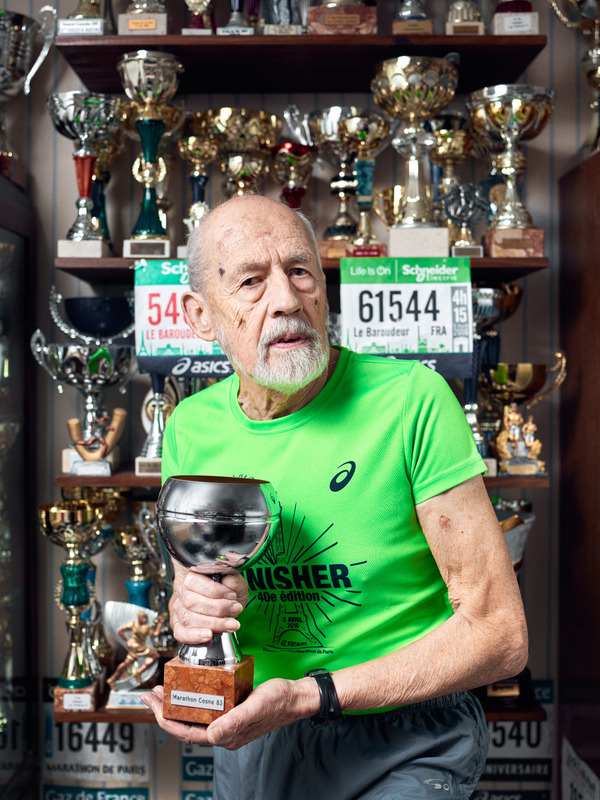 Bernard Alsat, 80 years-old marathon runner, at home. Orsay, France. March 28, 2017. Bernard Alsat, marathonien de 80 ans, chez lui. Orsay, France. 28 mars, 2017.